Most Aussies, who struggle with bad credit, think that they cannot get bad credit car loans. While some may have massive financial problems or they are not on good terms with their lenders, most Aussies are qualified for personal loans even if they have bad credit. 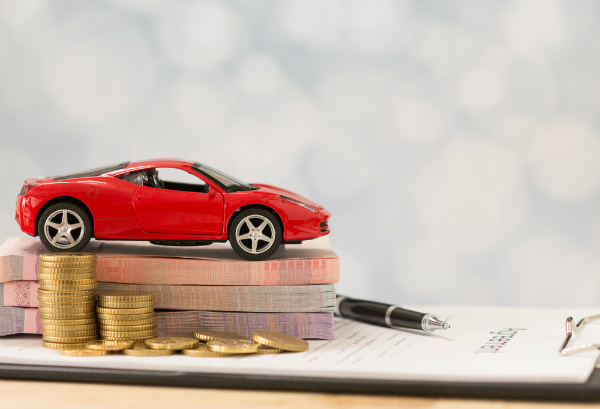 In this article, we will talk about bad credit car loans, and we’ll present six steps to getting one. So, if you have a hard time getting a car loan with bad credit, check this article. Bad credit car loans are ideal for those who need financial help to buy a car even if they have bad credit. However, you must know how much you need to borrow. For example: if your vehicle costs 200,000 Australian dollars and you ask for 300,000 Australian dollars, you might end up paying a loan that exceeds your requirements. It is recommended to get a loan that slightly exceeds the price of the car but not with fifty percent more. Keep in mind that the more you borrow, the more you will have to pay in interest as well. Only borrowing what you need is going to save you a lot of money in the long run – cash that you can actually use for something useful. Many calculators on the Internet will take the term, the interest rate, the income, and expenses and calculate your loan. They will also tell you the term and how much you need to pay. The services are free, and they can give you an idea of what to expect financially. Don’t get scared and start assuming the worst. If someone says that your credit is bad, don’t take their word for it. Two candidates that have the same credit score may look different in the eyes of a lender, and even if you have a less-than-attractive credit score, you may have more chances of getting that car loan than some random Joe with an identical score and no credit history. There are many lenders out there with all sorts of loans and taxes, and it is your job to find the best one for your needs. Take your time, and you might find one lender that will offer a loan that will benefit you in the long run. Check the interest rate – is it high or not? The high ones will drain you out of your money quicker. See if the loan is secured or unsecured. The secured loan will have a lower rate, so keep that in mind. The term of your loan should also be a major factor. The fees should not be neglected either. Bad credit car loans require a lot of papers, like any other loan. A well-organized person will have more chances of getting his/her loan request approved than someone who can’t even find his/her ID card. The reasoning behind this is quite simple: banks are looking for responsible borrowers. Therefore, if they see you walking around confused like you just landed from another planet, they will certainly see it as a red flag. If you can’t get around putting your documentation together, how will you be able to hold onto a job to pay your loan? You might have bad credit, but that doesn’t mean that you are seen as a villain. Be friendly, be polite and explain what you plan to do with that loan. Also, explain why you have bad credit. Your lender will understand, and he/she will help you get your loan. Before you sign, double check if everything is in order. One small error can be devastating to your finances. Ask a financial expert for advice and always do some research. If you are satisfied with the contract, then you can sign it and enjoy your new car. You may also want to avoid going alone to these meetings. Regardless if it’s a relative or a friend, a pair of fresh eyes will also be convenient to have around. They will be your “critics,” and they may catch stuff that you missed in your confusion and excitement. Plus, they’ll discourage the lender from trying to pull something fishy on you. If you want to learn more about bad credit car loans, be sure to check www.peronalloanss.com.au. You will find a lot more information there, and the financial experts are ready to help you.